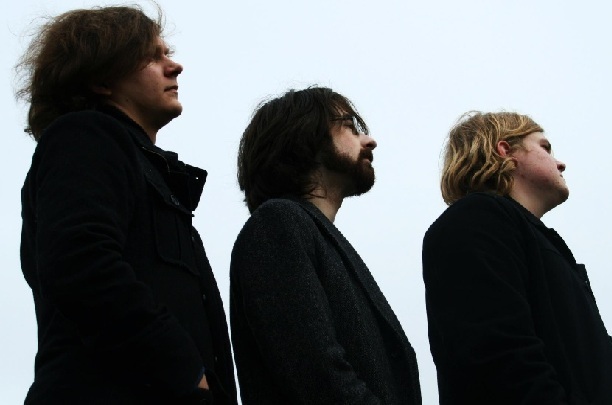 This band called Paper House, if I might categorize them, are a retro progressive rock outfit. They would not only be categorized as such because they sound more like Genesis and Jethro Tull than any other band that I can think of, but they also named themselves off of a brilliant song by Can. Their lead singer is Ken DiTomaso who also happens to be a regular poster on my irregular forum. I remember when he was brainstorming for band names, and I very much want him to name it Wisteria. But he didn't go for it. He didn't give me a reason for the rejection--maybe it sounded too girly or something? At any rate, his band name choice was quite good, and I won't hold it against him that he didn't pick mine. Much. There are other band members of Paper House, but I don't care about them because they don't post on my forum. ...OK, OK, I care about everybody on this planet, so here is the complete band line-up. There's Ted Lewis on banjo, recorder, electric guitar, slide guitar, cello and back-up vocals. There's Chris Dobosz on bass, piano and organ. And finally there's Ken DiTomaso who is not only on lead vocals but also on 12-string guitar, percussion, keyboards, and a jaw harp. There's also a guest accordionist named Megan Drevets. Ken is the very same guy who suggested years ago that I review Garden Shed from a band called England, which was an album that prided itself on the good old earthen tones of a Mellotron and a Hammond organ. I believe I hear similar sounds on this album as well. Why this is a good old noodle-head of an album if there ever was one. There aren't very many songs here, and the album (or EP) isn't much longer than 15 minutes. All of the songs are woven into each other and makes me want to call it a sort of mini Thick as a Brick. This album does have a rough homemade quality about it (so this isn't something you'll find on a huge label). Surely a big label might have afforded them smoother sounding production, which certainly would have helped the opener, “Winter Dreams.” That, I'm guessing, is more of an atmospheric, mood-setting piece, but unfortunately it does come off a bit cluttered. With that said, it does have an attractive guitar line and an interesting vocal hook. “Meadowpine” seems a similar sort of thing, but it's more focused, and I like how it eventually turns into a folksy piece with some banjo pickin', an accordion, and vocal hooks that kind of catch me by surprise. Well it does say something that it's a rare sort of song that draws me into it the more I listen to it. And there's one thing these guys know how to do that I wish every band knew how to do. That is, write songs with interesting melodies. Even more than that, they can write songs with good chord progressions. That's something you really have to have an ear for, and these guys clearly do. You can hear it in action especially in “Backwood Fields,” which rings like early Genesis with its dense acoustic guitar arpeggiations, eerie Mellotron sounds, complicated chord progressions, theatrical melody, a funky Hammond organ solo, and that spooky recorder that's played right at the beginning. (Well Peter Gabriel played the flute. But close enough!) It's not as good as early Genesis of course and I think they know that. But it was a valiant effort. Very valiant effort. “Starstruck Eyes” is another good one. More reminiscent of Jethro Tull with plenty of fancy guitar licks, dense orchestration that's constantly shifting textures, and an interesting melody that wanders along with it. Perhaps my favorite moment is the final piece “The Glow (Coda),” which a pleasant folky piece with a catchy although simple melody. (Hey! There's nothing wrong with simplicity.) In the background I hear some recorders and (I'm guessing?) a very low-pitched organ building up subtly. Very nicely done. 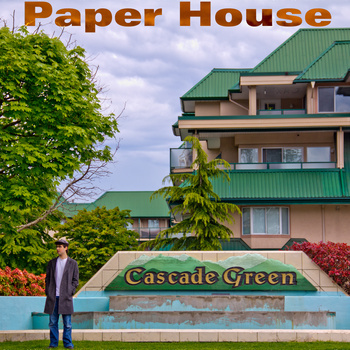 This is the second album by Paper House, a band based in Vancouver, Canada. I thought their previous album sounded like progressive-rock, but the first two songs off this album sound like they're emulating a 1960s sunshine-pop/garage-rock group. They utilize heavy acoustic guitars, tangy electric guitars, stinging electric organ, groovy riffs, etc. Just as they did with progressive-rock, they're dabbling in music that I've a pretty strong predilection towards. ...Once again, the album is self-produced, and for such an album, it doesn't sound bad at all; although, of course, real studio treatment could only have been a benefit to them. Maybe one day. That's followed up with a much heavier, acid-tinged song, “Urban Jungle,” which also sounds like something I'd find in an obscure-ish '60s pop-rock album. (In this case, I found a similar song from the '60s called “Magic Potion” by The Open Mind. Although that song is a little darker and more acid-tinged and also isn't as complex.) It gets strong momentum going, with heavy blasts of energy, a solid riff, a catchy tune, and some excellent lead guitar. The next few songs are experiments. “Clicks” is an instrumental that's--maybe--like a primitive version of something from Brian Eno's Another Green World. And then there's “Lucky (In Memoriam)” is a country-western, novelty song. I rarely like comedy-rock, particularly those rooted in country-western (for instance, “Grandma Got Run Over By a Reindeer”), but I like this. I might prefer to put this in the same league as Roy Wood's “When Gran'ma Plays the Banjo.” The lyrics, about baptizing dogs in order to “save” them, is genuinely funny. The tune, while a generic country-western thing, is still catchy enough to keep it from being stale. 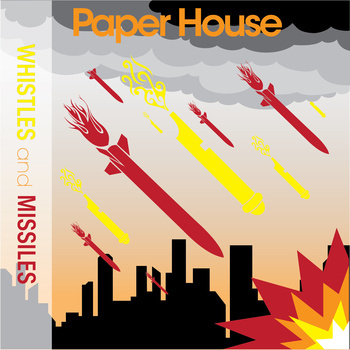 Also, if you feel so inclined, you can take a listen to this album FOR FREE at the following address: http://paper-house.bandcamp.com/album/whistles-and-missiles.